. I love this book. It goes into great detail about how we all have ways of feeling and experiencing love. The five love languages dive into are, words of affirmation, receiving gifts.acts of service, physical touch and quality time. This book should be a must-read for everyone. 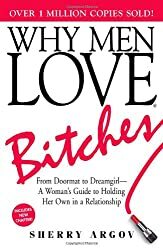 I have found this to be an excellent book on relationships. As much as I thought I knew, I learned a lot from this book, far more than I expected. I am grateful for the information in this book. Really good stuff.Once the principles are applied your relationships will be transformed. , by John M. Gottman and Nan silver, I have been counseling individuals for years and is constantly on the lookout for new ideas and practical advice for married couples and I have found this book to be a masterpiece. is written by three established authors in the self-help field. The authors approach is unique in that it focuses on action and change, requiring the active involvement of the reader. They have designed each chapter of the book to stand alone, allowing readers to pick and choose the sections of the book which are most personally applicable. It offers some excellent ideas on improving your communication in your marriage in a simple easy to understand way. it offers for those who want to improve their relationship with solid information. I will say that regardless of how skilled you are at communication, there is always room for improvement. If you have a good relationship you can make it greater. This is a must-read for everyone. : It is not your typical learn to communicate better crap. This is in your face, fix yourself theory. I love it, and it works. If you are having marriage issues, be honest and face the real problem in your marriage, and if you want to save or restore your marriage, then you need to read this book. highly for anyone in a relationship be it personal, business, friends. It has some great pointers and typically will start with a brief description of the problem, it shows ways of communicating and how to remedy them. Then it has you complete short exercises to practice the skill they had just introduced. I think everyone could benefit from learning different ways to Communicate. 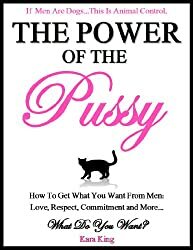 Her sassy book is filled with scenarios and advice aimed at making women subtly stronger and self-empowered. Argov’s principles, which range from the far-fetched to the downright absurd, include “If you give him a feeling of power, he’ll want to protect you and he’ll want to give you the world” and “A little distance combined with the appearance of self-control makes him nervous that he may be losing you.” The book, which has already been featured on The View and The O’Reilly Factor, should make waves with its controversial view of relationships. -Get over a divorce or break up, heal a broken heart, and never be sad over a man again! Get what you want from men and have the time of your life while doing it! This book has empowered women and dramatically changed their lives by changing the way they think about men and dating… and it can change your life too! DISCLAIMER: This book contains strong language, sexual content, and subject matter that may be offensive to some readers.